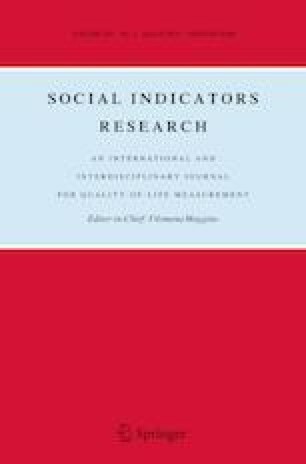 This paper proposes a composite indicator intended to assess the degree of liveability provided by urban areas. This synthetic index makes two essential contributions to previous research. Firstly, it starts from a series of specifically urban partial indicators and dimensions. Secondly, the technique used to estimate the goal-programming-based index (Blancas et al. in Ecol Econ 69:2158–2172, 2010) enables urban managers to actively participate in constructing the indicator. The instrument was tested by estimating the index for a number of Spanish cities. The results reveal significant differences in the degree of liveability based on geographical location, population and functional hierarchy. Its application to Spain further highlights the tool’s potential for liveability analysis by varying urban manager profiles. European Environment Agency. (2011). Air quality e-Reporting. Available online: https://www.eea.europa.eu/data-and-maps/data/aqereporting-8. Eurostat. (2011). Urban audit. Available online: http://ec.europa.eu/eurostat/data/database. Ministry of Education, Culture and Sport. (2011). Bibliotecas Públicas Españolas en Cifras. Available online: http://www.mecd.gob.es/cultura/areas/bibliotecas/mc/ebp/portada.html. Ministry of Health, Social Services and Equality. (2011). Catálogo Nacional de Hospitales. Available online: https://www.msssi.gob.es/estadisticas/microdatos.do. Ministry of Home Affairs. (2013). Balance de criminalidad. Available online: http://www.interior.gob.es/documents/10180/1643559/informe+balance+anual+2014.pdf/03808281-eb26-4ba6-a47b-71e2c5e5dc30. Ministry of Public Works and Transport. (2009). Sistema de Información Urbana. Available online: http://visorsiu.fomento.es/geonetwork/srv/es/main.home. Spanish Statistical Institute. (2011a). Urban indicators. Available online: http://www.ine.es/dyngs/INEbase/en/categoria.htm?c=Estadistica_P&cid=1254735976606. Spanish Statistical Institute. (2011b). Population figures and demographic censuses. Available online: http://www.ine.es/dyngs/INEbase/en/categoria.htm?c=Estadistica_P&cid=1254734710984.